UCCS 2017 was held from 27th – 29th March, in Lake Arrowhead, USA. Organised entirely by graduate students and postdocs from across the University of California. UCCS Focuses on current graduate students from all fields of chemistry within the University. 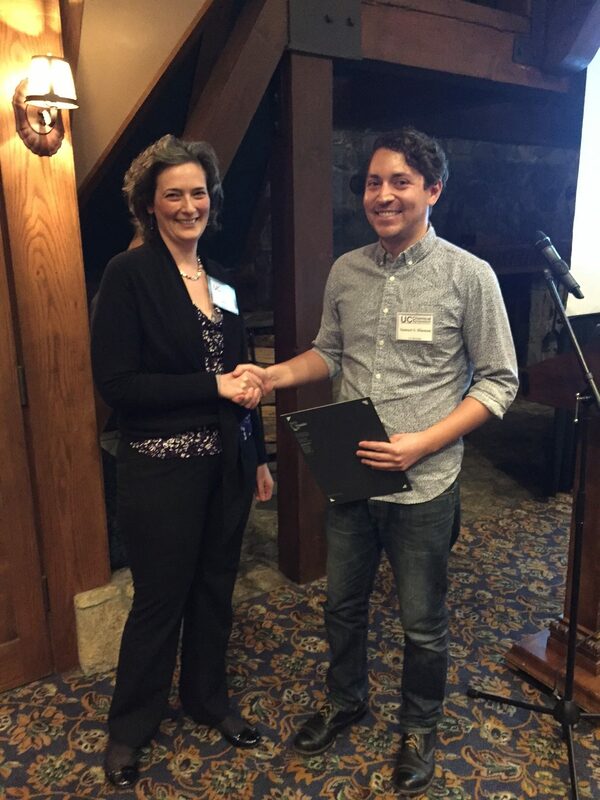 Analyst was proud to sponsor a poster prize for the symposium. It is clear that the future of chemistry is in safe hands. 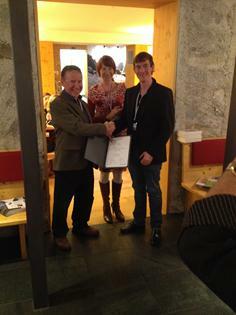 We would like to congratulate the Analyst poster prize winner: Samuel S. Hinman. 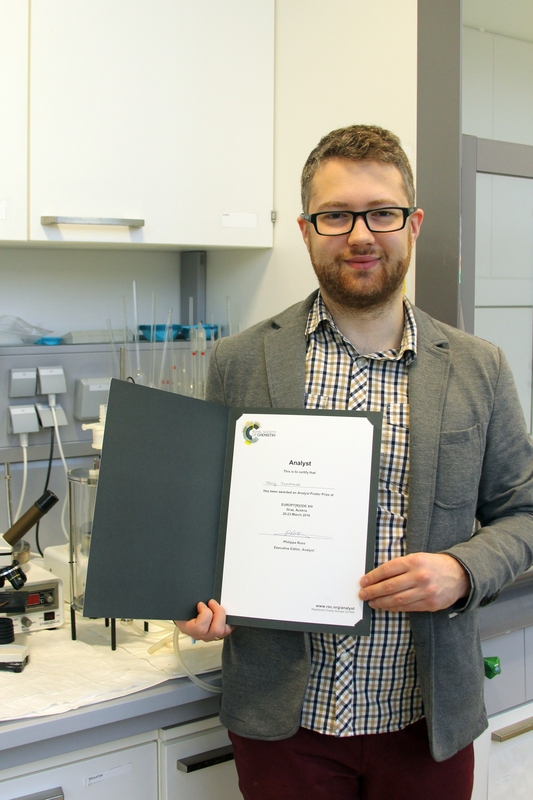 His poster was titled: DNA Linkers and Diluents for Stable and Specific Gold Nanoparticle Bioconjugates in Multiplexed Assay Development. Congratulations to the ICORS poster prize winners! 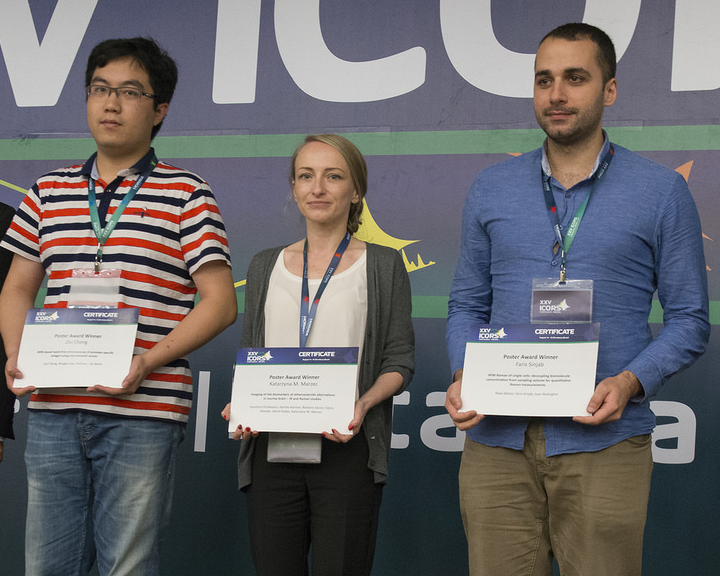 Congratulations to our Analyst Poster Prize winners at the recent ICORS conference in Fortaleza, Brazil. This international conference brings together experts from different fields to discuss the frontiers of Raman spectroscopy. The conference aims provide an environment for in-depth scientific discussions of Raman-based techniques, as well as for scientific exchange that ideally will seed new collaborations. Ziyi Cheng from Hanyang University, Republic of South Korea, with their poster SERS-based wash-free immunoassay of prostate specific antigen using microdroplet sensor. Faris Sinjab from University of Nottingham, United Kingdom, with their poster AFM-Raman of single cells: decoupling biomolecule concentration from sampling volume for quantitative Raman measurements. 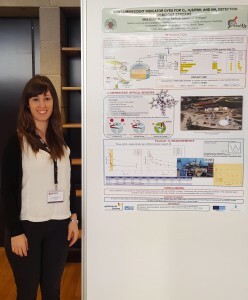 Katarzyna M. Marzec from Jagiellonian University, Poland, with their poster Imaging of the biomarkers of atherosclerotic alternations in murine brain – IR and Raman studies. Well done to our three winners! 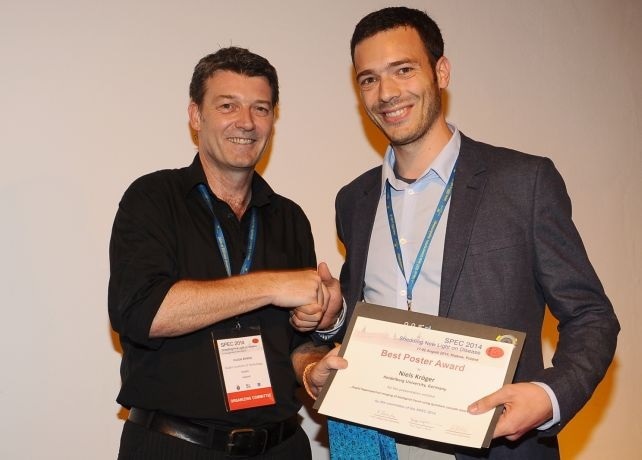 Congratulations to our Analyst Poster Prize winner at the recent SPEC meeting in Montreal, Canada. This international conference series brings together clinicians and scientists who are developing and improving innovative pre-clinical and clinical applications of vibrational spectroscopy that can lead to health care delivery improvements. 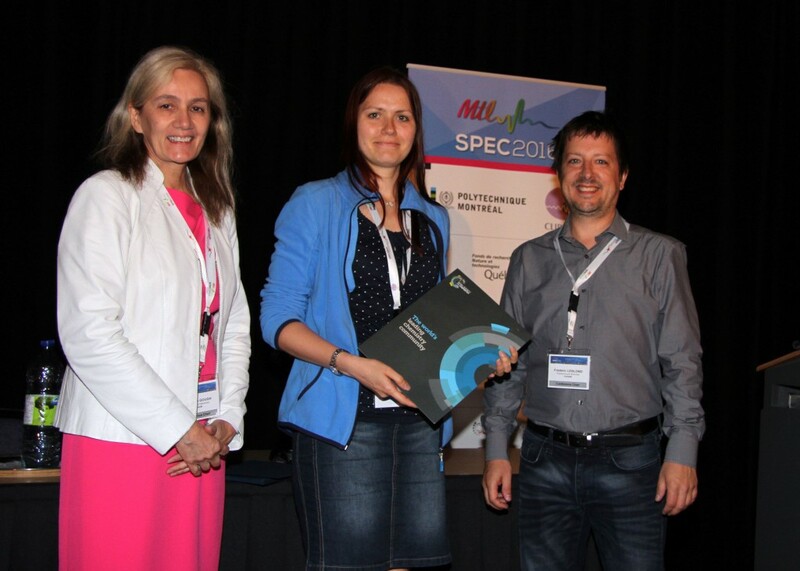 The winner was Anna Balbekova of the Technische University Wien with her poster Multimodal (FTIR and LA-ICP-MS) Imaging of a Tumor Treated With Sunitinib and Cisplatin. The 32nd International Symposium on Micrscale Separations and Bioanalysis 2016 (MSB 2016) was held at Queen’s Landing in Niagra-on-the-Lake, Canada from April 3-7 2016. Congratulations to S. Dasgupta and Neha Thakur who won oral presentation awards from Analyst at the recent Current Trends in Analytical Chemistry (CTAC-2015) meeting, held by the Association of Environmental Analytical Chemistry of India (AEACI) in Mumbai, May 26-29. 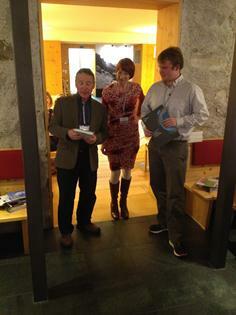 Each were given book vouchers to use in the Royal Society of Chemistry books catalogue. S. Dasgupta, ACD, BARC, Variable Energy Cyclotron Centre, Kolkata. Talk title: Compositional characterization of Cu-Cr-Zr alloy and Lithium Titanate by CPAA using proton beam from VEC accelerator. The International conference, SPEC 2014: Shedding New Light on Disease, was held on the 17th – 22nd August in Krakow, Poland. The conference was Co-chaired by Prof. Malgorzata Baranska, Jagellonian University, Krakow, Poland, Prof. Hugh J. Byrne, Dublin Institute of Technology, Ireland, and Prof. Anna Sulkowska, Medical University of Silesia, Katowice, Poland. The event was the 8th in the series of biennial conferences, the aim of which is to bring together clinicians and scientists who have joined forces in the quest for novel biomedical applications of Infrared and Raman spectroscopy to improve patient care. Recent advances in the biological sciences and medicine have led to an increasing demand for real time and minimally invasive chemical and structural informa¬tion on biological materials. Due to its unique fingerprinting capability, vibrational spectroscopy plays a significant role in histopathology, cytology, biopsy targeting, surgical targets, treatment monitoring and drug studies. while reviewing the challenges in the context of other emerging technologies. The programme was constructed in an attempt to prioritise real world applications from the outset, systematically progressing from research towards in vivo, ex vivo and in vitro applications, as well as emerging technologies and data processing, and featured Plenary, Invited and Contributed presentations in each session. The Flash Presentation session provided an opportunity for Early Stage Researchers to orally summarise their poster presentations to the audience in a one minute pitch on the Monday evening (18th), in advance of the formal poster session, on the Tuesday (19th). The Renishaw prize for Best Flash presentation was awarded to Helena Ukkonen, for her presentation entitled “FTIR Imaging Identifies the Changes in the Tumor Microenvironment Caused by Different Cancer Cells”. Niels Kröger, Heidelberg University, Germany, was awarded the Analyst Poster Prize for his presentation on “Rapid Hyperspectral Imaging of Biological Tissue Using Quantum Cascade Lasers”, while best poster prizes were also awarded to Elisa Barroso and Roeland Smits, Erasmus University Medical Center Rotterdam, for the presentation “High-Wavenumber Raman Spectroscopy to Discriminate Squamous Cell Carcinoma From Healthy Tissue Based on Water Content” sponsored by WITec, and Mohamed Abu Ayoobul Ansary, Jagiellonian University, Poland, for the presentation “Optimization of conjugation of Au/Ag-core/shell nanoparticles with antibodies for SERS studies on endothelial cells” sponsored by Bruker. The deliberations of the discussion groups will contribute to a “Roadmap” paper in the special edition of international peer reviewed journal, Analyst, co-authored by the IAB moderators. 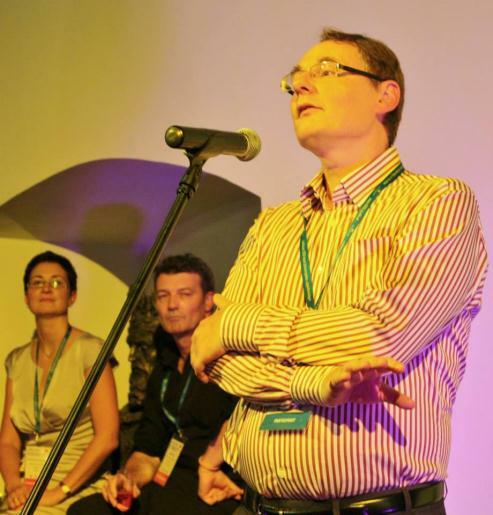 The discussion sessions also enabled outline presentations of the UK EPSRC CLIRSPEC (Clinical Infrared and Raman Spectroscopy for Medical Diagnosis) and the EU COST network Raman4clinics (European Network on Raman-based applications for clinical diagnostics) and their respective workprogrammes to promote and progress the translation of vibrational spectroscopic technologies into the clinical environment. Prof. Peter Gardner (Uni. Of Manchester), addresses the Gala Dinner on behalf of the SPEC International Advisory Board, outlining proposals for the establishment of the International Clinical Spectroscopy Society. The programme and discussions clearly demonstrated that there has been much progress in the understanding of the complexity of spectroscopic characterisation of biological materials, and data preprocessing and postprocessing methods can be applied with confidence to give true biochemical representations of tissue, cells and bodily fluids. Spectroscopic techniques remain a powerful tool for basic research and may find applications in vitro for toxicology and drug screening. Emerging technologies continue to push the performances in terms of acquisition speed, spatial resolution and multimodality. In terms of translation to a clinical environment, there remains a lack of standardisation of measurement and data analysis protocols ex vivo, while cost implications need also to be considered. The increased development of fibre probes shows great promise for in vivo intra-operative applications. However, the need to engage the medical community remains an imperative. A significant outcome of the satellite meeting of the SPEC IAB was the agreement in principle to the establishment of an International Clinical Spectroscopy Society, as a not-for profit Private Company Limited by Guarantee with charitable status. The Society will primarily promote the translational of spectroscopy into the clinical environment to improve patient diagnosis and prognosis. The SPEC Conference Series will be the primary vehicle of the Society towards this goal. The IAB also accepted the proposal that the next in the series, SPEC 2016, will be held in Montreal, Canada. The conference attracted 282 participants from 32 countries around the globe. The programme included 62 oral and 191 poster contributions. 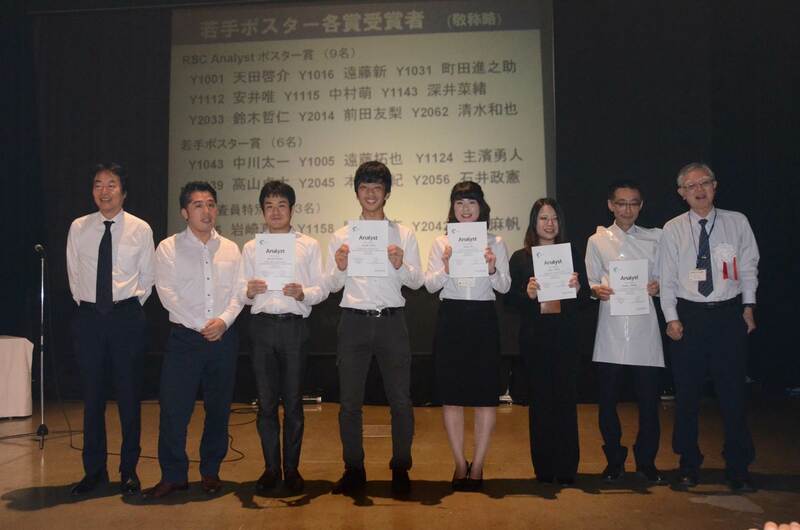 It was sponsored by a number of commercial enterprises and other organisations, including: Witec, Renishaw, Agilent Technologies, Bruker, NT-MDT, Art Photonics, Thermo-Scientific, Comef, Horiba Scientific, Bio-Tools, Photon Etc., London Spectroscopy, Analyst, CLIRSPEC, PAN, PAU, ABE, KNOW im. Smoluchowskiego, LOT Quantum Design. The conference was held against the backdrop of the 650th anniversary celebrations of the Jagiellonian University, and enjoyed honorary patronage of the Jagiellonian University, the Mayor of the City of Krakow, the Malopolska Voivodeship and the Marshal of the Małopolska Voivodeship. 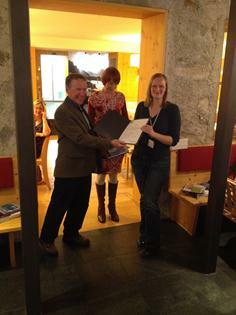 Congratulations to the Analyst Poster Prize winners at the recent 11th Uppsala Conference. Well done Christopher, Heidelinde and Owen! Thanks to the conference organisers Dr Thomas Müller and Dr Kathrin Breuker as well as Editorial Board Member Professor Evan Williams who presented the poster prizes. 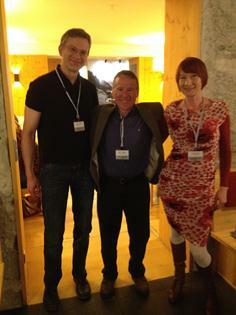 We hope you enjoyed the 11th Uppsala Conference on Electron Capture and Transfer Dissociation (UppCon 2014) held in Obergurgl, Austria. 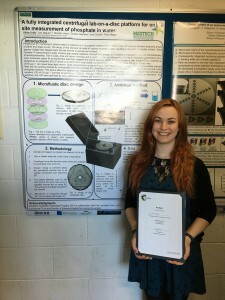 We are please to announce that the Analyst Poster Prize from the recent ICAVS-7 Conference held in August 2013 in Kobe, Japan has been awarded to Cosima Koch. Congratulations to Cosima for her winning poster! Cosima is currently pursuing a PhD in Analytical Chemistry at Vienna University of Technology focusing on the development of a new technology for infrared spectroscopy of particles in suspension. For the first time, acquisition of spectra of suspended particles is possible through the combination of ultrasonic particle manipulation and attentuated total reflection Fourier transform IR (ATR FTIR) spectroscopy. During the first part of her PhD, she helped with the design and construction of an ultrasound accessory for a commercially available inline fiber optic ATR probe. Recently, in a collaboration with the bioprocess technology department, the first spectra of S. cerevisiae (baker’s yeast) during fermentation were recorded in situ in a bioreactor with this prototype probe. The techniques allows to gain insight into biochemical changes in the cells in real time without the need for sampling. Apart from investigating the biochemical composition of cells during a fermentation and offline by FTIR and Raman microspectroscopy, Cosima investigates the use of ATR FTIR spectroscopy and chemometrics for monitoring media components and bioproducts to control bioprocesses.